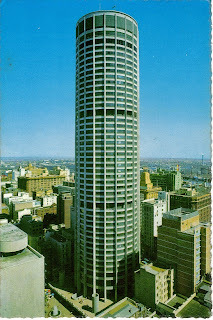 the first Australia's authentic skyscraper. she was wearing her bright red dress then. What a view! Poor Mr. C living almost at street level!